There is no question La’Angum Learning Center has had a huge impact on the remote communities it serves, but how good a school is it? From the start, the PAMBE Ghana board intended for the school to deliver measurable excellence but has struggled to identify meaningful ways to assess our educational outcomes. One major stumbling block is that the Ghana Education Service (GES) does not administer any standardized assessment test until completion of the 9th grade. We plan to compare our graduates’ outcomes to those from other schools, but this is still three years off, and doesn’t speak to how our students are mastering their own grade school curriculum. GES does provide curriculum guidelines for the elementary grades. LLC has incorporated these achievement levels into our curriculum development so that our graduates may make a smooth transition into the GES-run junior high school system. Our teachers assess student mastery on an ongoing basis. This, however, does not provide insight into how effective our unique program is compared to the traditional GES approach to elementary education. Earlier this year we were disappointed to find ourselves in a blind alley after discovering a report based on a recent grade school assessment test developed by USAID. 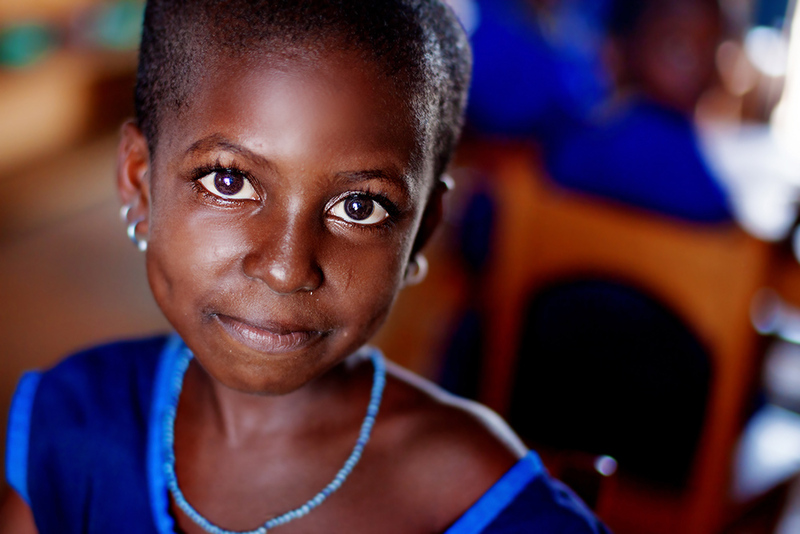 This report compared student mastery of certain benchmarks in schools across Ghana. We hoped to obtain a copy of this test and administer it to our students so that we could produce an effective comparison of LLC’s performance against GES outcomes regionally and nationally. Unfortunately, the test itself has proved impossible to locate. We will continue to pursue this through our contacts within GES and at USAID. For now, however, we must move on. Through PAMBE Ghana’s relationship with the regional GES office, Alice was able to coordinate development and administration of a 6th grade mastery test, designed by 6th grade teachers to evaluate four benchmarks: English, math, science and citizenship. The resulting data are very promising: LLC students outperformed students at two GES (public) schools and performed equally well as those at another local private school. LLC has the highest score of the combined benchmarks: 185. The other private school achieved the next highest score of 150, while the two GES schools received total scores of 119 and 108. The highest scoring LLC student was a girl who is the first in her family to ever attend school. She scored a total of 295. 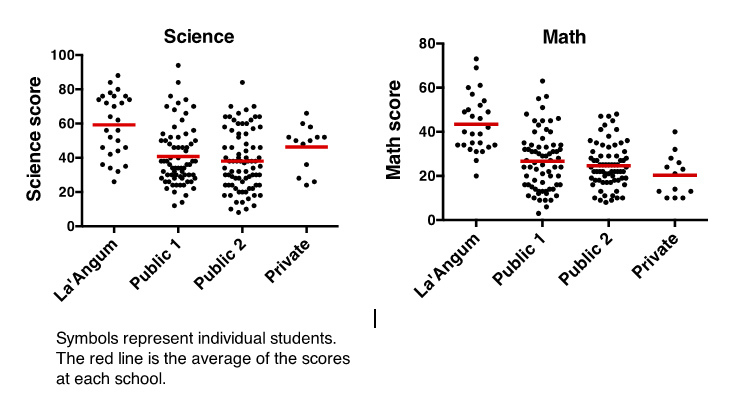 LLC students were particularly strong in science and math (see graphs showing scores of individual students). Our students’ average science score was 57, followed by the private school with 43, and scores of 40 and 38 for the GES schools. LLC’s average math score was 42 – the next highest score of any of the other schools was 26. This was a first step at creating a meaningful, reliable assessment tool that could be administered each year. We have learned from this experience, and will make changes in the test and in how it is administered. We see that our students have room to improve. We will address that in our ongoing work with teachers and curriculum. PAMBE Ghana analyzed these test results in consultation with Denise Caudill, a former World Neighbors staff member who has lived and worked extensively in Western Africa. Caudill currently consults with nonprofits. Our Board’s curriculum committee—which includes certified Montessori teachers, college professors and other education professionals—will use the results to provide additional teacher training opportunities, classroom materials and curriculum oversight.